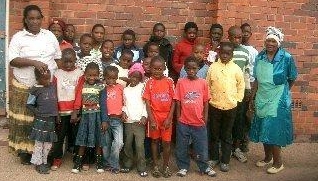 Ardrishaig Primary School has been working towards a fund raising event for the Pelandaba school fees. Every class has been involved in Arts & Crafts and learning about Zimbabwe. The P1s painted African scenes from photos in water colours which have also been made into cards. The P6/7s printed their designs of African animals. These have also been converted into cards. P5 have made African style jewellery and P2/3/4 have prepared for an African Themed Fashion Parade, making hats, tie dying cloth for shifts, creating jewellery to wear and also making beaded key rings for sale. 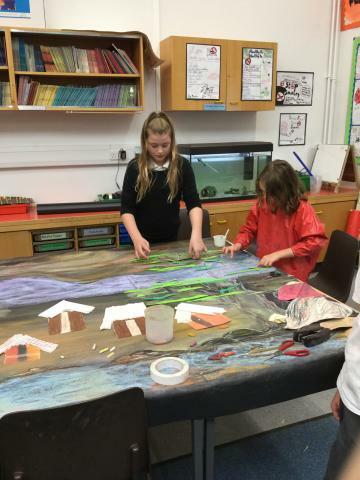 P5 created an African Village back drop for the fashion show. There has been story telling and writing of new african based folk tales and everyone has worked really hard towards the African Afternoon on 21 November to be held in the school. It has been a most enjoyable experience for me working with them all. It is wonderful when children get involved to help other children less fortunate than themselves. Thank you all!